The very first foosball table patent dates back to the 1890s, so it’s no surprise that there are plenty of old ones floating around. 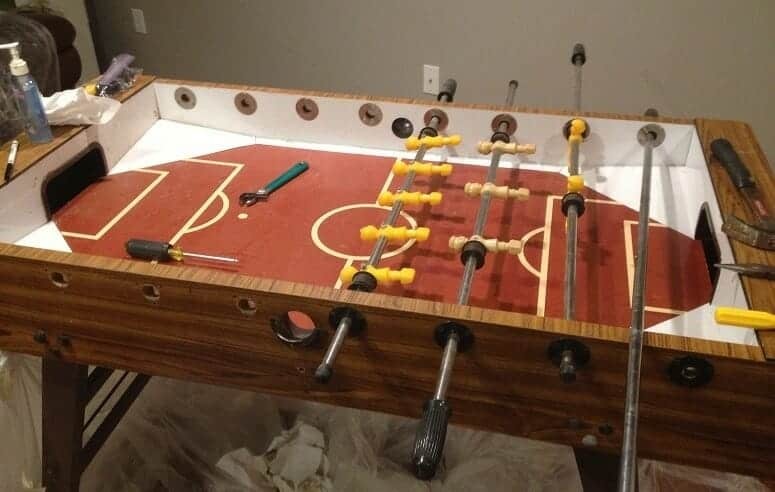 If you’re someone who loves a good restoration project or have an old foosball table that you want to see brought back to life, you might have been considering how you might go about restoring it. As with any DIY project, planning is key, so there’s a lot to consider before you jump into the project. We’ll walk you through what to look for when buying an antique foosball table for restoration, and some tips on how to make the job easier. Keep in mind that this job can take quite a bit of effort, and some money, so you’ll also want to weigh up the pros and cons. The end result could be quite spectacular, but just like any restoration project, things might not turn out the way you hoped, so you have to consider all possibilities. 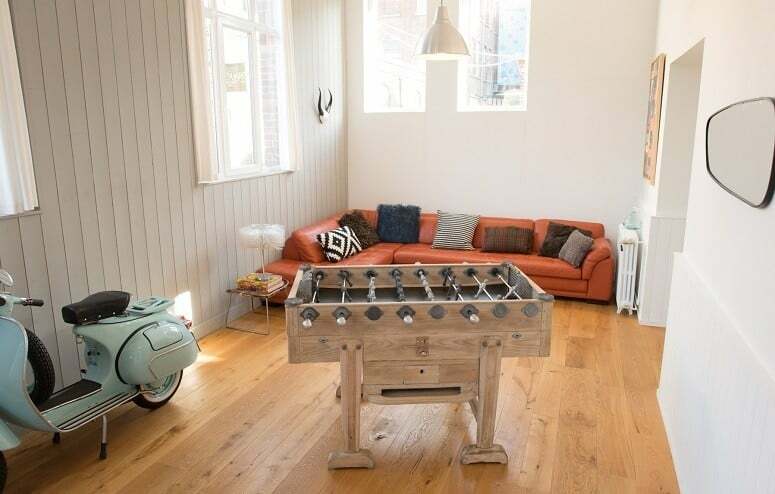 Some people are lucky enough to find an old foosball table at a thrift store or a yard sale, and immediately jump at the chance to take it home. Although most of them should be in good condition for restoration, there are others that have gone beyond the point of repair. Foosball tables have quite a few functioning pieces that all work together, like the players and the rods. Therefore, it’s essential to take a quick look and see that all of the parts are there and how damaged they are. Even if they’re not working, it’s easy enough to order new ones, but just make sure the table isn’t beyond repair. You’ll also want to make sure the table is in your budget. Considering what you could spend on the restoration project, including paint and new parts, you might be looking at around $100 at least. Therefore, don’t spend too much purchasing the old table if you’re then going to spend even more money fixing it up. Get as much information as you can from the previous owner about when they bought it and where. If you’re unable to see the brand it will make it hard to order new parts, so any details you can get about it will be helpful. Any restoration or DIY project like this is going to take work. Most people are happy to put in the effort because it’s a satisfying job and will potentially make them money, but this doesn’t always work out. Here are the pros and cons involved in trying to restore an old foosball table. 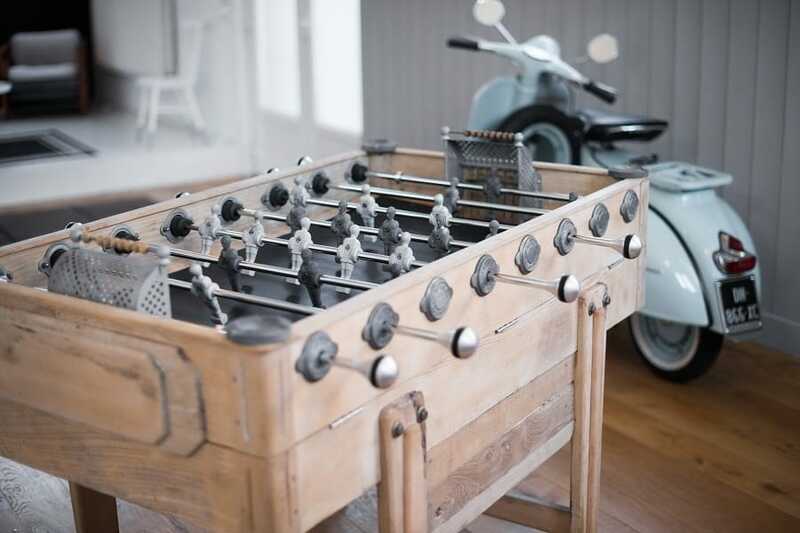 Foosball has been a beloved sport and hobby for over 100 years, and if you’re lucky enough to own an antique table or find one that’s fit for restoration, the best thing you can do is bring it back to life. Take your time with the project and plan everything out in advance before you do it, as there is real potential to damage it for good. While these older tables might not have the features and functions that modern ones do, they’re still a lot of fun and great to look at. 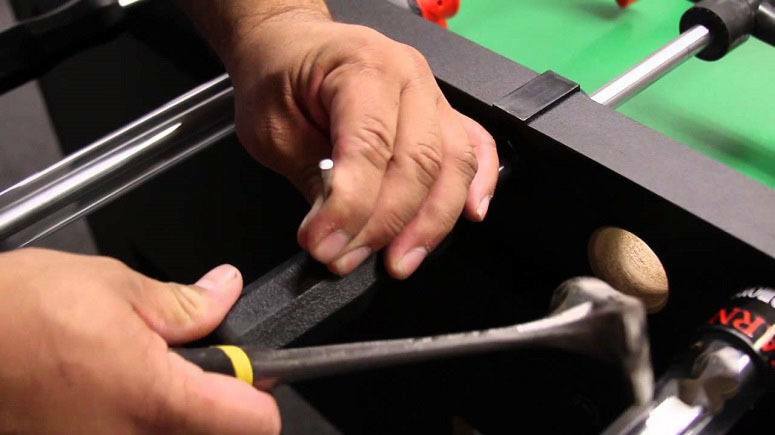 Not only will you have a classic foosball table to enjoy, but you’ll have the type of satisfaction that comes from restoring something with your own two hands, which is pretty hard to beat.